Rachael Dadd is an “authentic and unpretentious” folk singer based in Bristol and Japan is releasing a new album, Bite the Mountain on the excellent Broken Sound Records (home to The Mariner’s Children, Tristram et al). She is doing a proper UK tour and Willkommen are VERY EXCITED to have her down for the night in August performing a rare unplugged show in the cosy space of the unchartered Caxton Arms basement. 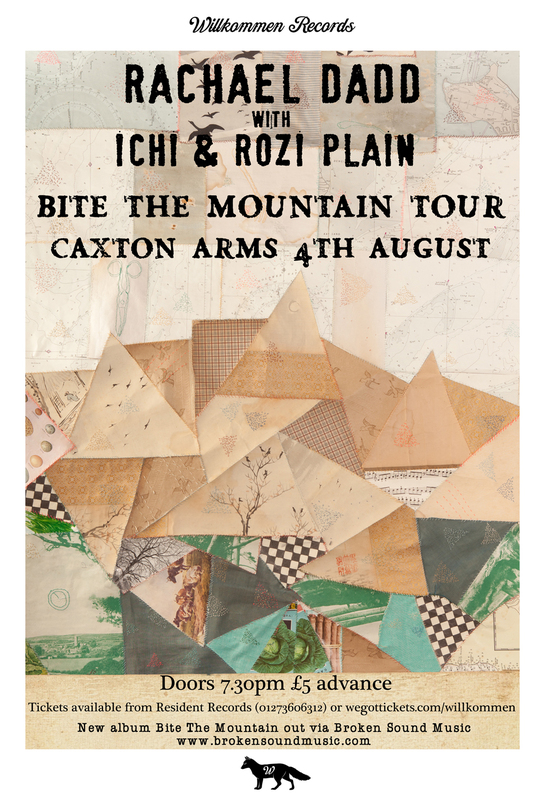 With her for the night is the elegant and supremely talented Rozi Plain who released a debut on Fence Records which has been on repeat in many a Willkommener household. And opening up is the indescribable Ichi, a multi talented Japanese experimentalist/mentalist. Expect the sound of everything and nothing being clanged and beautifully thrown together. The room has a small capacity of about 50 and this is definitely going to be something special so do the right thing and buy tickets in advance.